If you are a business owner in the contemporary setup, you appreciate how stiff the competition is. The world is now a global village and this translates into stiffer competition. With the advent of internet marketing, more businesses are now online and to stay ahead of the pack you have to think outside the box. This is where a mobile app comes in handy. Google has indicated that mobile internet traffic has surpassed desktop traffic. The SimilarWeb’s State of Mobile Web US 2015 report says, that over 56% of all internet traffic is now mobile. Better still, there are over 2.1 billion smartphone users, which highlights the importance of mobile for business marketing. 62% of smartphone users have made a purchase online over the last 6 months. Mobile apps are all the rage in internet marketing. With an app, you are able to capitalize on the internet technology to boost your business. These apps guarantee more traffic to your website through increased immediacy. With a mobile app, it is easier to engage with the target audience, cut cost of operations and get more comprehensive consumer insight. However, there is a catch when using a mobile app for your business. A Google Report showed that 25% of all installed apps never get used. 26% of these installed apps are abandoned after the 1st use. 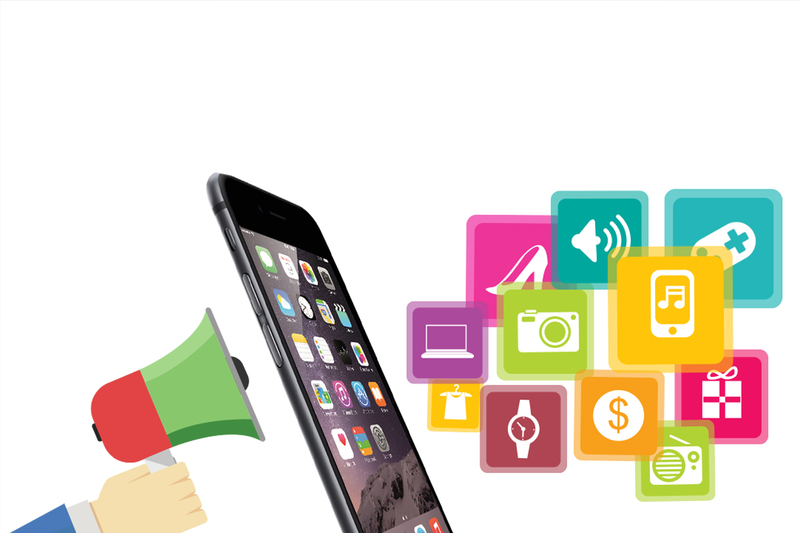 The question then becomes; though the app is well developed by Android and iPhone apps Development Company, how do you market your app to avoid the same fate? Learn and understand your target audience: Make sure you know who is you target customer and create content that is aimed at their preferences. Make sure the app design and content aptly fulfils the needs of your target demographic. Find your niche: Now that you understand the target audiences, make sure your app stands out by adding features that are unique and which are specifically built to engage your target audience. Build a killer website: Your app should complement your equally good website. Optimize for app stores: Make sure your app is app-store ready by including relevant keywords in the title and description. This means your app comes up on top of every search by users in any app store. Stand out: When marketing, make sure you stand out from the crowd. Capture the interest of your target audience in order to inspire them to download and share the app. The idea is to leverage word of mouth and help your app grow naturally. Leverage social media: Over 2.5 billion people are on social media and there is every reason to ensure your app is highly visible. To do this, include social sharing icons on your app because this is the easiest call to action (CTA) users will heed to. Captivate early adopters: By releasing early and repeatedly, you will create visibility to a core group of users called early adopters. This means a basic form of your app can be used if all the core features are available as you continue building on the rest of the framework. Still wondering how other businesses are able to use their mobile apps successfully? These tips will start you off. Next Next post: How to avoid security breach in your WordPress website?